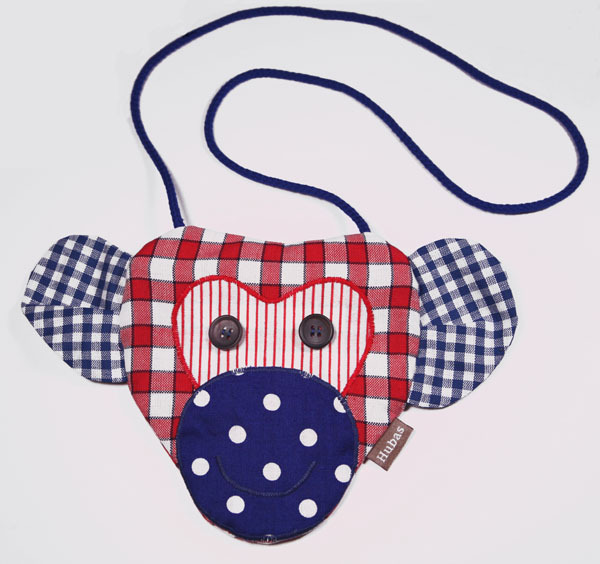 Edward the monkey, a cheeky ape hangs from your nape. Collecting a colourful cartload of cash in bold stripes and pretty dots. A pocket monkey for pocket money. The zip runs across the back.